A water disaster can happen at any moment. We will come any time, day or night to take care of it. 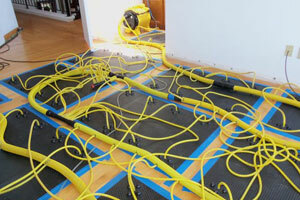 Flood water damage is one of the most common problems that a homeowner will ever experience. Water damage, when it happens, can be both fast and dramatic. One minute your home is fine – and in the next you have a tremendous water problem. A prompt response is the key to reducing or eliminating the loss in water damage. Addressing the damage quickly can often reduce restoration costs, as well as reduce mold growth and other contaminants associated with water damage. We aren’t happy unless you are. We guarantee all of our services. Whether the water damage that your home is experiencing is plumbing or weather related, you should call Water Damage Recovery right away. We understand the worry and stress that you’re feeling as these problems befall your home. Let us help. Our IICRC (Institute of Inspection, Cleaning and Restoration Certification)-certified technicians are available 24-hours-a-day, 7 days a week to handle your water emergency. Our well-trained team will do more than merely remove the excess water from your property. They also possess both the proper knowledge and equipment to dry your home so it is completely back to its safe, pre-incident condition. Equally important, we guarantee all of our services. If one of our water damage recovery services is not done right for whatever reason, we will come back, fix it and make it right, Guaranteed. 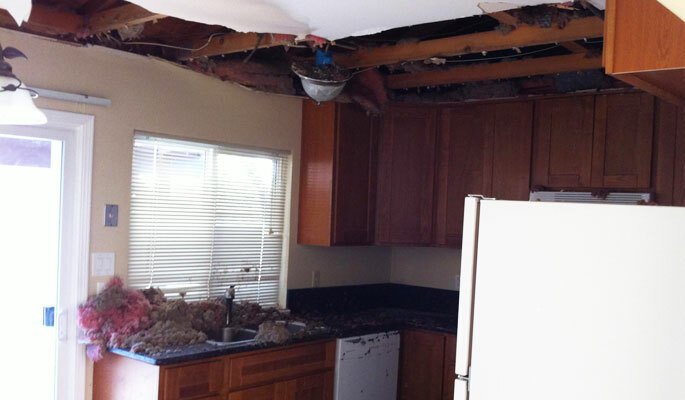 If you have a water damage problem in your home, call us for a free estimate. Water Damage Recovery offers 24/7 service, every day of the year. Call now. Water extractors are used to thoroughly remove water from your floors. From estimation to completion, our experienced team is ready to handle your home’s water damage cleanup and restoration needs. With our help you can rest assured that your assets will be protected and damage kept minimal. Inside of Home: We try to get there within an hour when the water damage is inside your home. 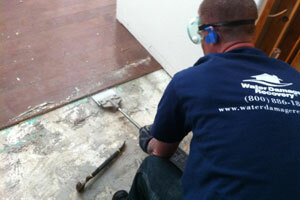 Our technicians will vacuum up water and use an ‘extractor’ to remove water from wood floors. Furniture will be removed from affected areas or put up on blocks. If the water damage is from dirty water, carpeting will likely need to be thrown away, however if the water is clean we’ll dry the carpet if we can. Carpet pads are thrown away because it is cheaper to replace than dry them. If there is water damage affecting a wall we will remove the baseboard and drill small holes in the wall. This will allow air movement to dry the wall. Under Home: First we turn off your water. Next we vacuum up water so that everything is no longer soaking wet. If the problem was caused by a broken pipe, we’ll make sure that a plumber is able to access the pipe and make the repair. Once the pipe is fixed we’ll remove the contaminated soil, spray anti-microbial and then replace the bad soil with new, fresh soil. Water Damage Recovery has the highest industry certifications in Water Loss Management. Our IICRC-certified technicians are capable of drying a home totally back to its pre-incident condition. They can handle any sized job using advanced drying techniques to restore soaked structural materials to their original state. The same drying techniques can be utilized to inhibit the growth of harmful pathogens like mold while saving furniture, electronics, flooring and documents. Our large inventory of state-of-the-art drying and dehumidification equipment includes everything from basic water extractors and dehumidifiers – all the way to trailer-mounted Desiccant 9000 dehumidifiers, which we use to dry out large properties. Our experienced technicians will take the time to thoroughly evaluate every perimeter of your property to ensure the job is complete before they leave. Since 1997 we have helped restore thousands of water damaged homes throughout Northern California. If you are currently experiencing water damage here are few first aid restoration tips.